This is a web-based, free mail and chat service. With a great deal of free online storage, you are able to archive all your important messages in a threaded conversation style. To access Gmail you will need to sign up for a Google account. Gmail is fast, reliable, free and comes with many helpful features. Pidgin is a multi-service instant messaging app that lets you chat with users from MSN, Google Talk, AIM, Gmail, IRC, ICQ, and more, all from a single app. It also supports lesser-known protocols like Jabber, MySpace, and Gadu-Gadu. This messaging service is great for those who want to use one platform for multiple services. Skype has been around for a number of years and is still the leading video and instant messaging service online. If you need to keep in contact with your remote worker or contact a distant supplier, Skype is a powerful tool to use. Not only does it offer face to face video chatting once you have a webcam in place, you can also use the instant messaging service to remain in contact with your business contacts at all times 100% free. If you’re looking for a desktop email client that is fully featured, secure and free, Mozilla Thunderbird may be for you. It allows you to handle mail quickly, efficiently and with style, and Mozilla Thunderbird also has a junk mail filter. If you have used Microsft Otulook you will have no problemn navigating this easy to use application. Create new folders and archive your mail, collect RSS feeds or set up your electronic signature, it’s all here. Yahoo mail is a free email service offered by the US search engine company Yahoo. Along with Gmail, Yahoo mail is one of the largest free mail providers in the world. As with Gmail, this mail service comes with many additional add-ons like calendar, themes, anti-fraud email protection and much more. Although it lacks the thread conversation view of Gmail, many users believe this is a benefit and not a mark against Yahoo mail. 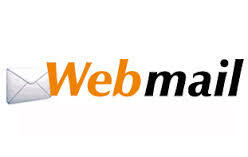 Webmail.co.za is a genuine South African online institution. With over 900 000 users, this free online email service has been a pillar of the South African internet scene for over a decade. Although it admittedly has less of the bells and whistles associated with other online mail providers, this is a reliable, homegrown free mail solution. Webmail is not limited to the browser however, you can easily forward your mail on to your phone, desktop or other devices by using their SMTP option.